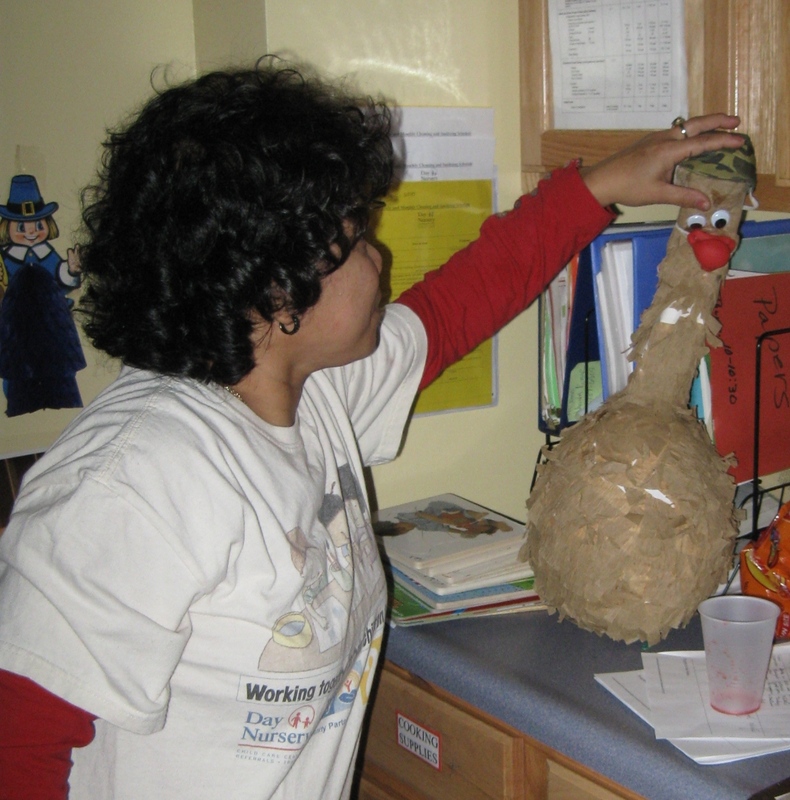 Wondering what happens during an average day in our centers? Here is a note and some pictures from Day Nursery Ruth A. Lilly Center Director Shannon Garrity about the good things happening in one of her preschool classrooms. 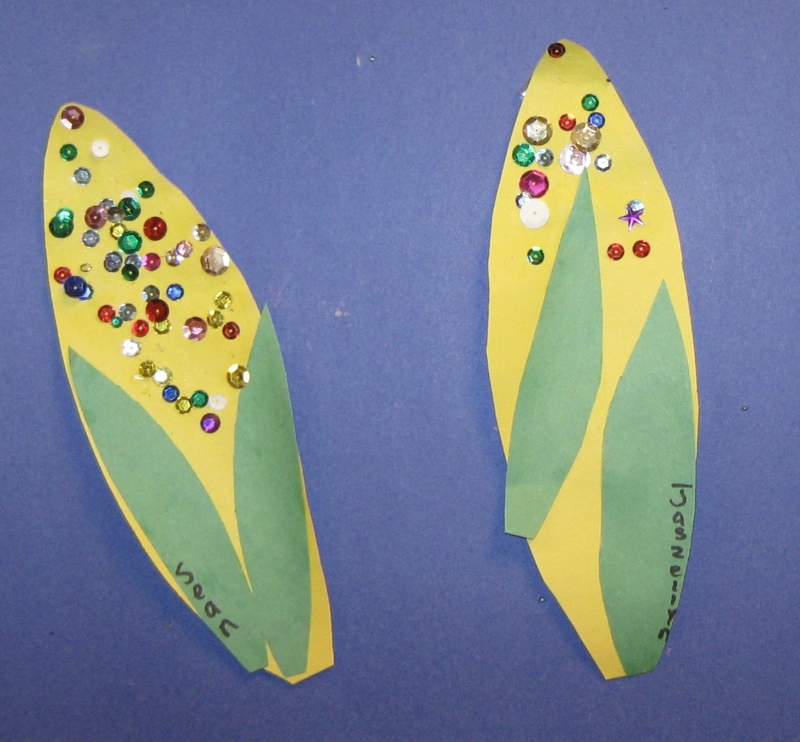 This is a project that the three-year-old class is working on. 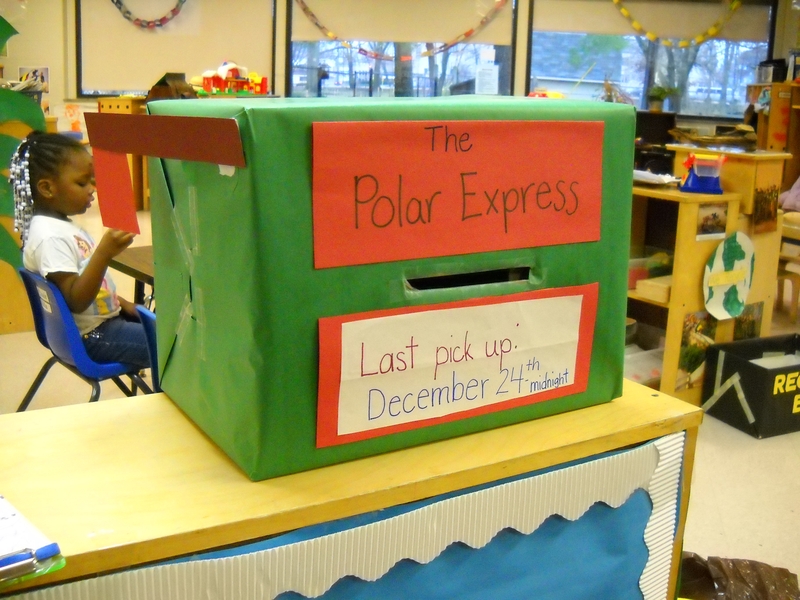 In the morning they cut out pictures and write letters to Santa and put them in their box. At nap time, while children are sleeping, Santa picks up the letters and leaves the children a note which their teacher Ms. Sara will read to them after their nap. This activity is a good example of the importance of early childhood education. The children are learning new skills they will need when they reach elementary school. The most important lesson they are learning is how to follow a series of steps to complete the activity. Using scissors to cut out the pictures will develop their fine motor skills which in turn helps them have the control they need to learn to write their name on the envelope to Santa. Call the White House today The funding bills are still under negotiation between the White House and Congress. On Tuesday, November 30, advocates from across the country will contact the White House to ask them to remind Congress not to drop 300,000 children from child care and Head Start, and to support the Early Learning Challenge Fund. The President and his important staff are key players in these funding decisions and we need to continue to let them know that young children and families should not lose out on the early care and education they need during these difficult times. My name is ________ and I’m from (City), (State). Please urge Congress not to drop 300,000 children from child care and Head Start. Make sure that continued funding for the Child Care and Development Block Grant and Head Start is NOT REDUCED in the appropriations bill and that the Early Learning Challenge Fund is included. Thank you. 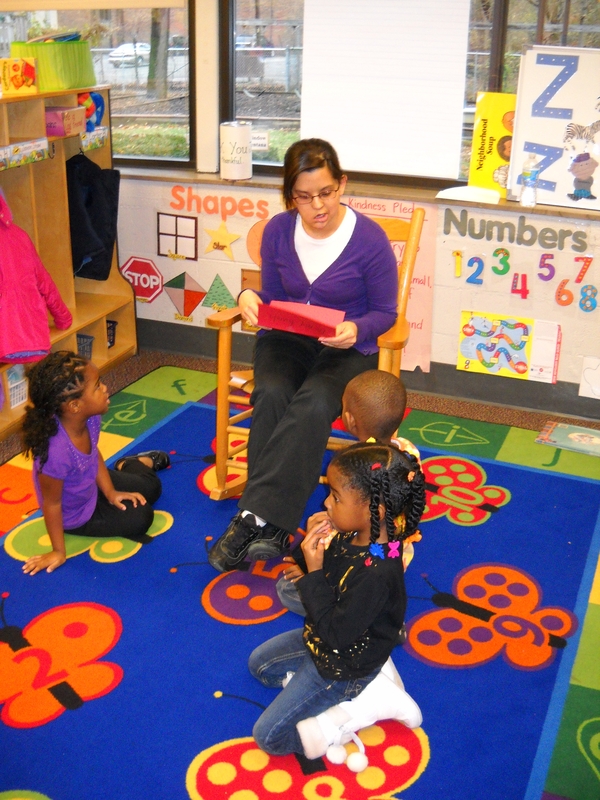 Send President Obama an e-mail in support of early childhood education programs. 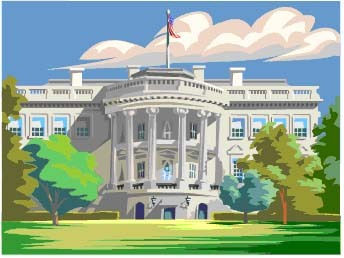 To e-mail the President, go to www.whitehouse.gov/contact. Please urge Congress not to drop 300,000 children from child care and Head Start. Make sure that continued funding for the Child Care and Development Block Grant and Head Start is NOT REDUCED in the FY 2011 appropriations bill and that the Early Learning Challenge Fund is included. These programs help children learn and develop skills they need to succeed in school and in life. They also help families get ahead by giving parents the support they need to be productive at work. Thank you. 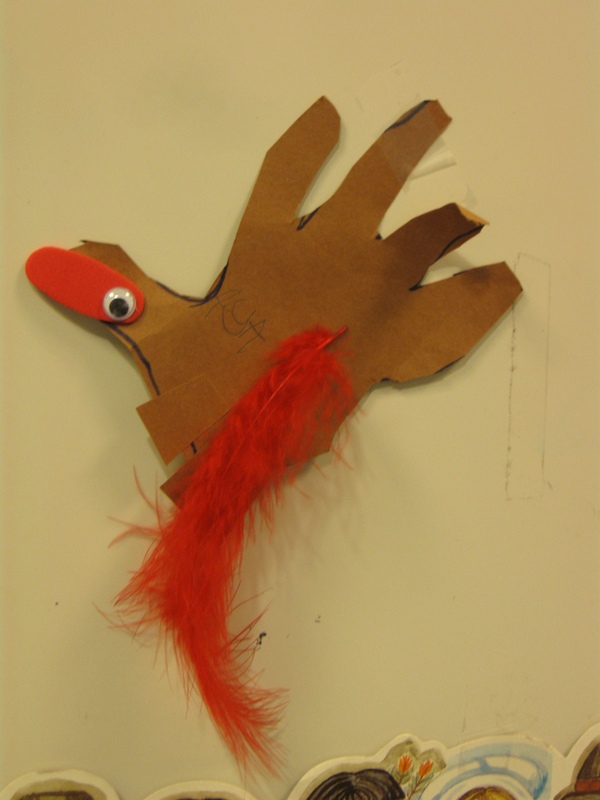 The students enjoyed the book Setting the Turkeys Free written by W. Nikola-Lisa and illustrated by Ken Wilson-Max so much that they made many hand print turkeys to decorate their classroom. 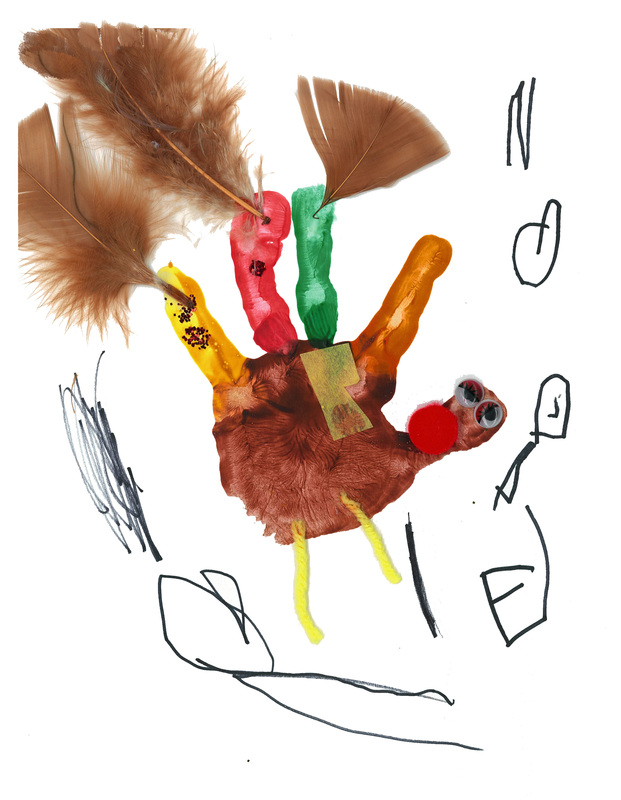 2010 marks the 5th year that Day Nursery has selected an “official” hand print turkey in celebration of Thanksgiving (see Talking Turkey for more history). 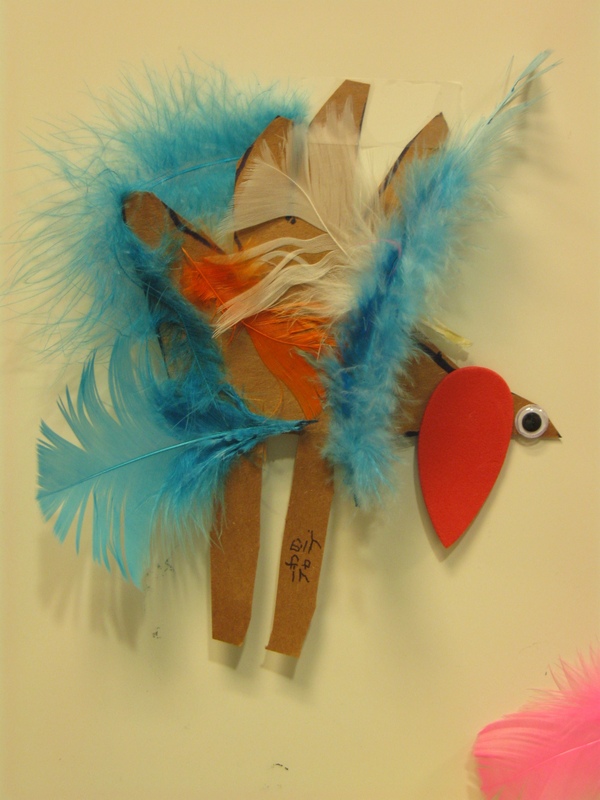 The official turkey is selected by a panel of staff members in our administrative offices. 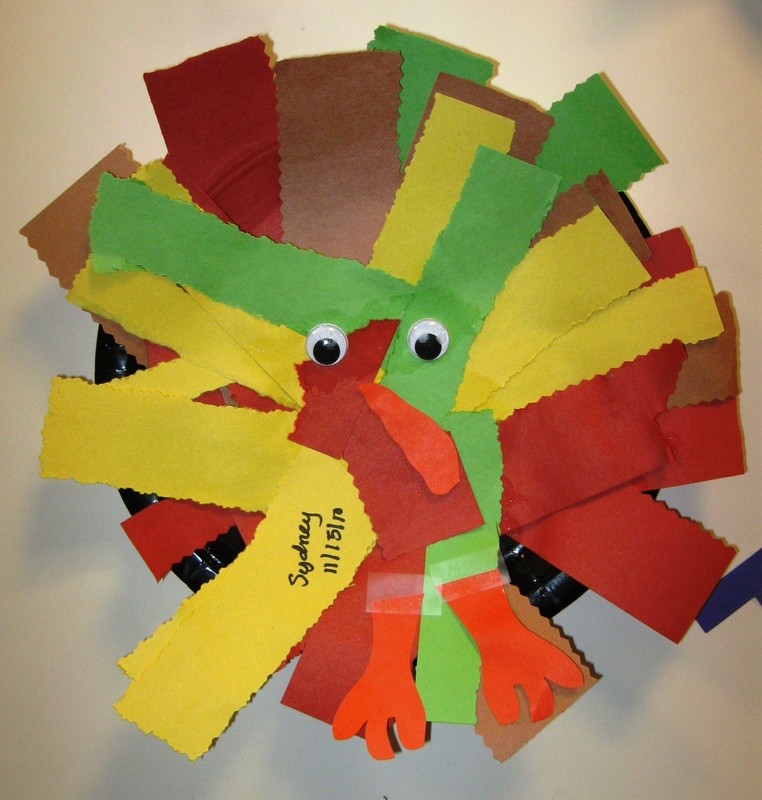 We use the student artwork to decorate a Thanksgiving card sent to our donors and supporters. 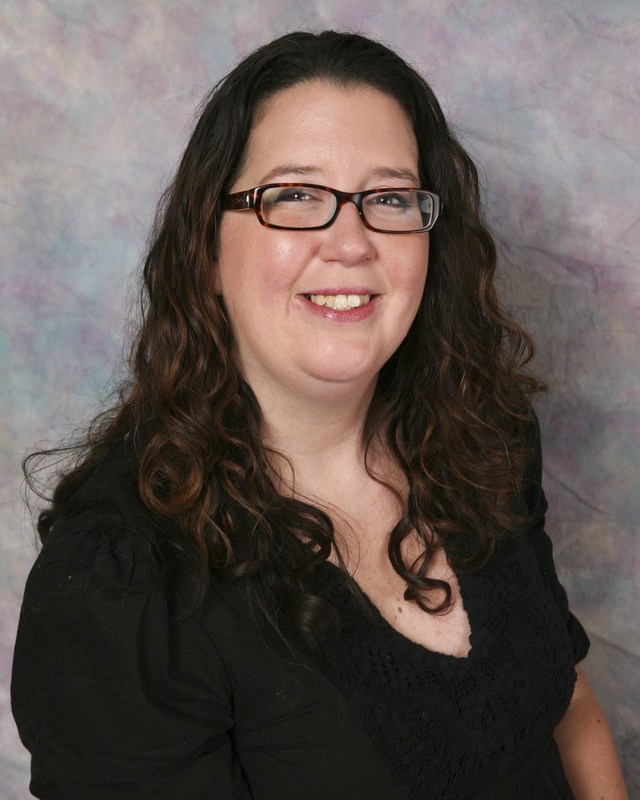 Beth Rodriguez, Day Nursery Director of Development oversees the judging. This year she really captured the spirit of the competition in her emails to the staff announcing the contenders are “so cute you could gobble them up” and reminding everyone not to “stuff” the ballot box. 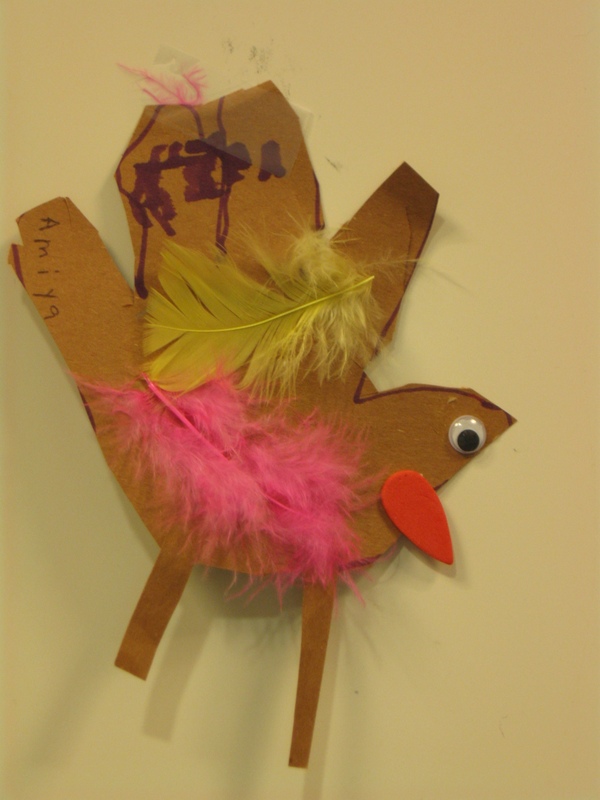 I will spare you the rest of the corny jokes as I am pleased to present the winning turkey for this year, created by 4-year-old Nathaniel of Ms. Lee Ann Kidwell’s preschool room at the Day Nursery Clarian Center. It is a tradition at Day Nursery for our centers to host a family meal around Thanksgiving. Today I would like to share some pictures with you sent to me from Sarah Parks, Director of our downtown Federal Center. 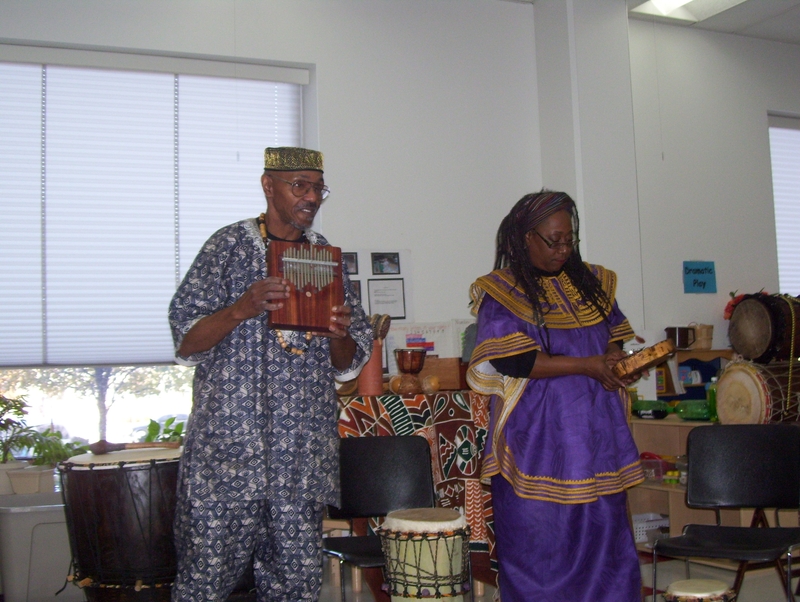 Prior to the today’s lunch, the children were treated to a special visit from Young Audiences performing artists﻿ The Asante Touring Company and their program ﻿﻿TUCHEZE NGOMA: THE DRUMS OF KENYA. 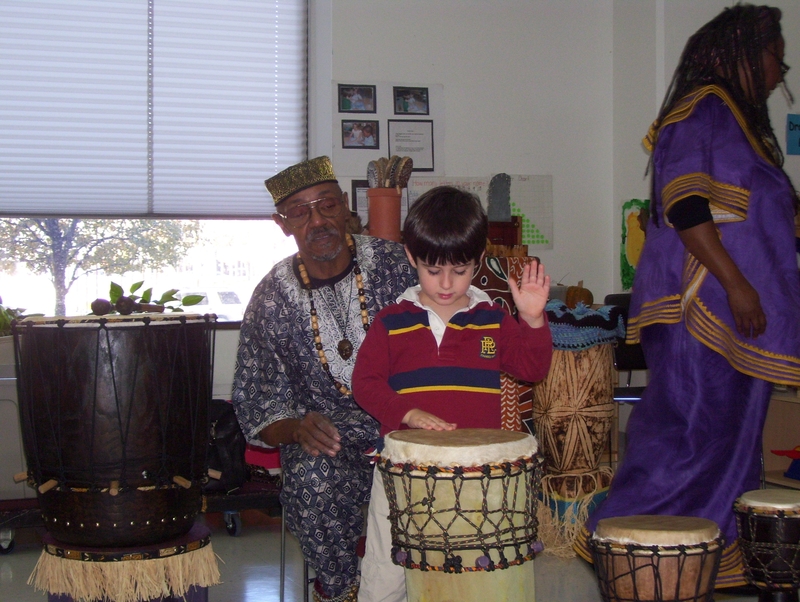 The performance introduced the children to drumming, dancing, and singing of Kenya, in East Africa. They were amazed by the thumb piano handmade out of wood and a garden rake. 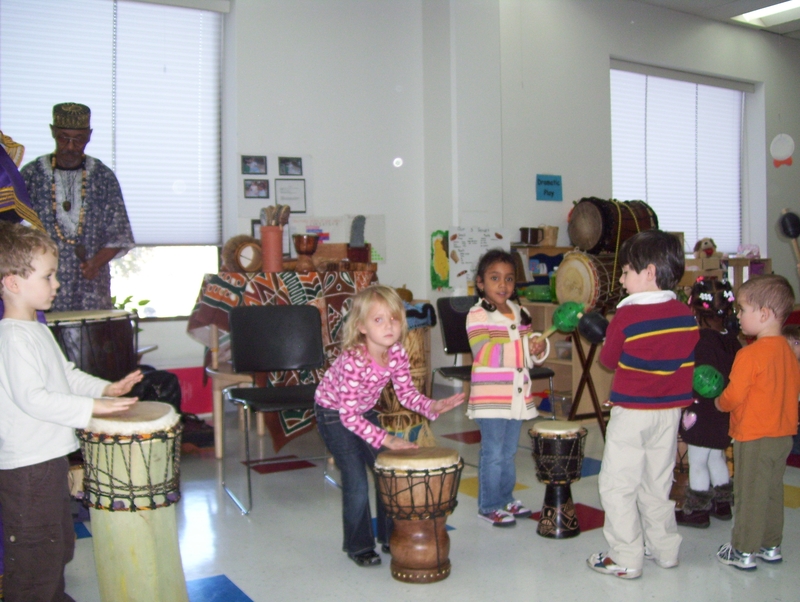 Sarah says the children really enjoyed the drums–both playing them & listening to them. The children also learned about Kenya & how to say “Hey! Let’s play the drums!” in Kiswahili, the Kenyan national language. 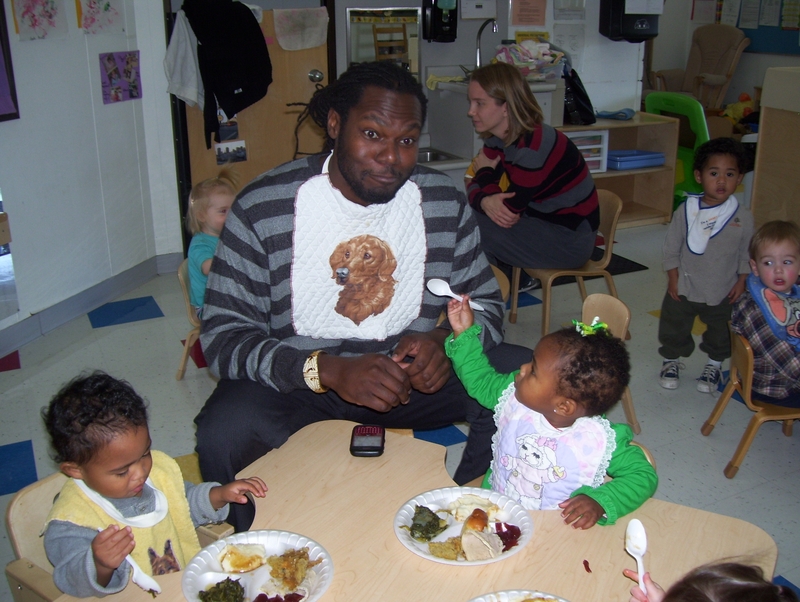 Many parents stayed to enjoy the Thanksgiving feast with their children, including this dad who wore a bib & allowed his toddler to feed him. That is one cool Dad. Happy Holidays. 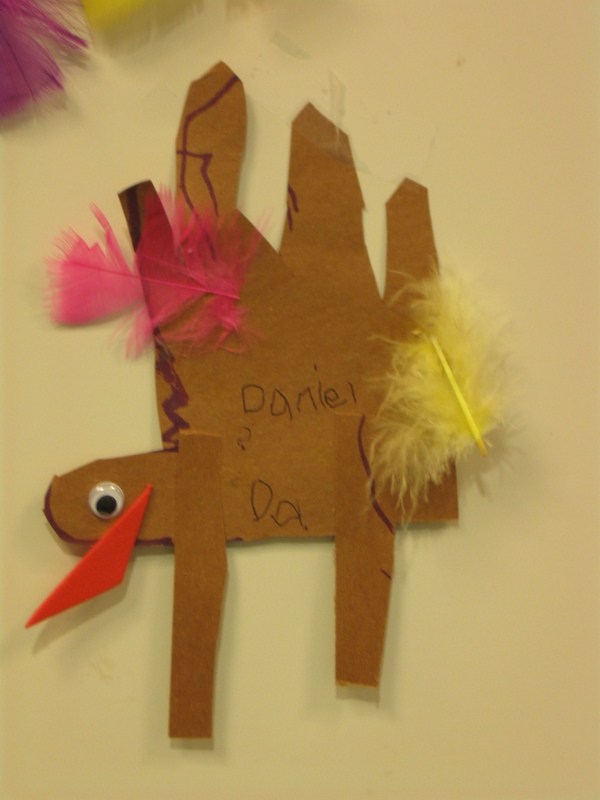 Every Day Nursery I visit this week is filled with Thanksgiving and fall artwork. 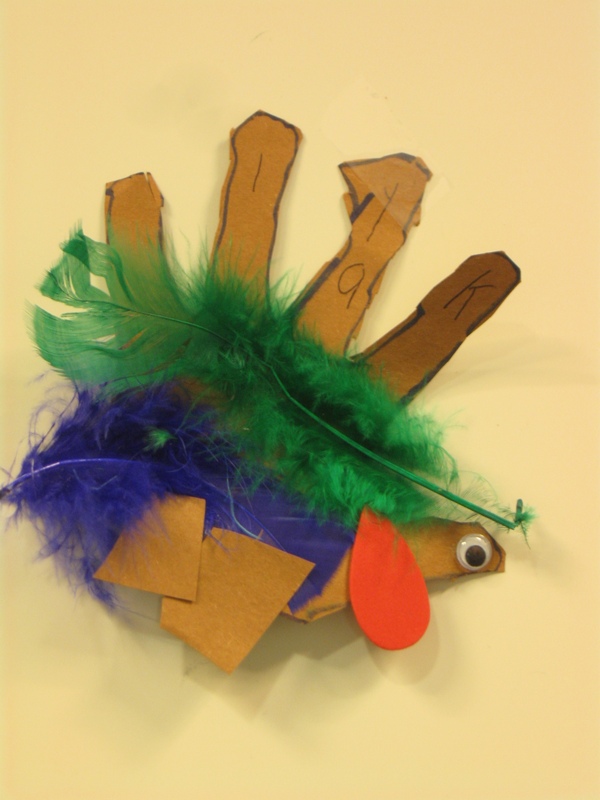 These turkeys come from the Preschool 3 classroom at the Day Nursery Clarian Center. 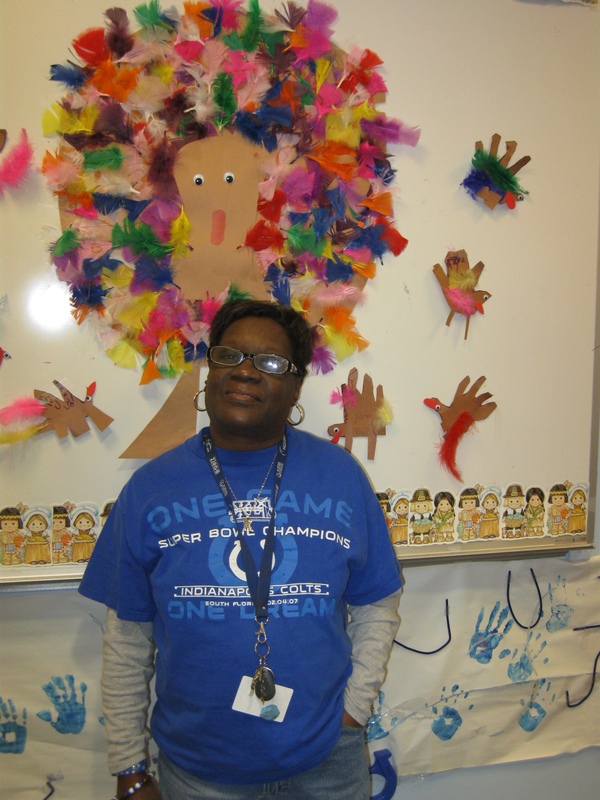 Below you can see Assistant Teacher Ms. Karen Garrett proudly posing in front of her students’ artwork. Ms. Karen has been with Day Nursery for 11 years.